Why Does a Power Cord Get Hot on a Window AC Unit? When the power cord on a window-mounted air conditioner gets hot, it means that too much power is being dissipated across the power cord. The cause of the overheating should be corrected as soon as possible. 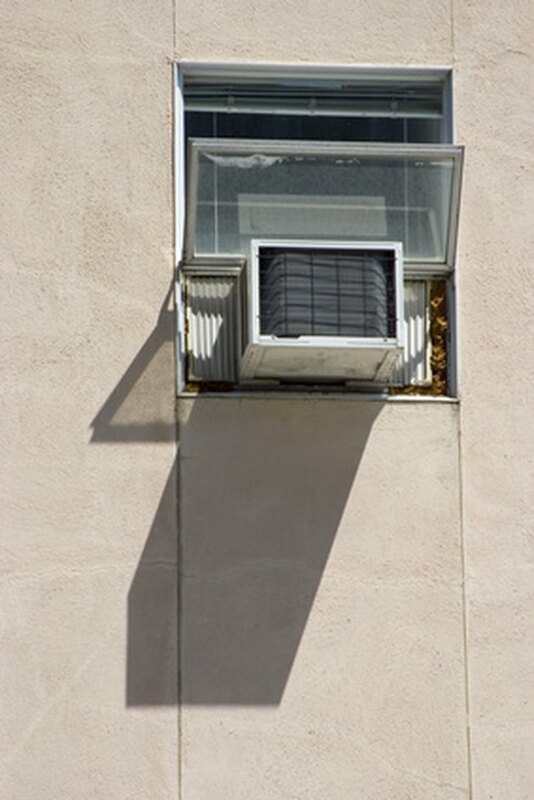 Some air conditioners are window mounted. Two things can cause too much power to be dissipated in the power cord. Either the power cord resistance has increased or the amount of current passing through the power cord has increased. The formula for electrical power dissipated is: Power equals current squared multiplied by resistance. An increase in either current or resistance -- with no corresponding change in the other -- will cause the power dissipated to increase and the power cord to get hotter. A frayed or partially broken power cord can cause the cable to exhibit a higher resistance. This results in more power dissipated in the power cord, causing the power cord to get hot. Worn bearings in either the motor or the compressor can cause the air conditioner to draw excessive current. This will also cause the power cord to get hot. Now alternating between Florida and Mexico, Ronald Bell has been writing since 1976 when he founded “The Vienna Viewpoint,” a community newspaper in Virginia. Since retiring, his work has appeared in several newspapers and on various websites including Autism and Hope, which he owned. Bell attended the University of Central Florida.